Catering to the industry demands of superior quality of color additives, we Universal Masterbatch LLP, offer to our clients our valuable industry experience in the field of manufacturing color concentrates and other additives, which are available under the brand name "UNICOL". The range offered by us include polymer concentrate, rubber concentrate, color concentrate, predispersed (dust less) pigments, pre dispersed pigments and many more. Established at Ahmedabad, Gujarat, India, in the year 1992. we started our company under the able guidance of Mr. Tushar, CEO of our company, who holds degree in Chemistry and CIPET plastic processing technology. His extensive experience in the field of manufacturing color Masterbatches and other allied color concentrates and pigment products and collective expertise of our team allow us to meet the different standard and customized product development needs of our clients. Today, our consistency in delivering high quality color concentrates and pigments has helped us to achieve and emerge as one of the most reputed and leading suppliers in the industry. Further our expertise in meeting the client specific work process requirements and the competitive prices of our products has also helped us to make many quality conscious clients in the global markets. To bring continuous improvements in our product range and successfully meet the diverse application requirements at clients end. 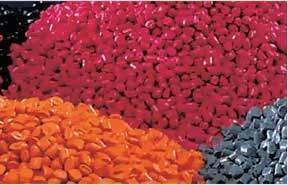 Our capability to deliver superior range of color Masterbatches and other allied products assist us in successfully meeting the varied end process application requirements originating at clients end. Further the affordable prices of our products and high quality end results provided by them has also helped us to make many reputed clients in the national and international markets. Apart from the domestic markets, we also export our products to the markets of African countries. We have a staff of around 20 to 25 dedicated and highly talented industry professionals, who have complete understanding and knowledge of the involved production processes. Their expertise help us in successfully understanding and meeting the varied color concentrate and allied needs of our clients. The availability of technically advanced range of packaging machinery equipment and services of experienced packaging professionals help us to provide durable and flawless packaging to our products, ensuring their complete safety during the transit process. We provide individual packaging of 25 kgs in plastic or woven sacks, bags and paper bags. Our well distributed transportation network allow us to successfully cater to the transit demands of our products in the local markets. Further our association with leading and reputed C&F agents also allow us to successfully meet the originating overseas shipment requirements. Universal Masterbatch LLP has a high tech laboratory, where the end product colors are tested by making Film & color swatch. Our lab is equipped with Color spectrophotometer, Injection moulding machine, lab extruder, two-roll mill, hydraulic Compression Press etc. Modern technology, family of well-trained, honest skilled, dedicated technicians is the bases of our Company. Our entire family of technicians solving problems together, as and when it is needed. 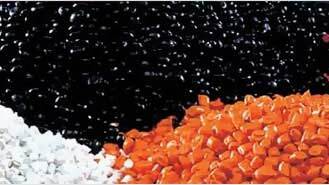 We, at Universal Masterbatch LLP manufacture Color Masterbatches. 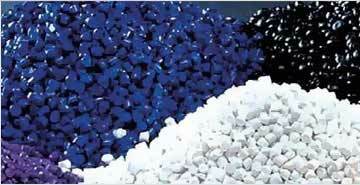 Which is a reservoir of chemical or mineral substances perfectly dispersed with pigments in a thermoplastic medium. As the professional and reliable supplier of foreign customer, we believe we can give you the best service, the fast delivery, the best quality goods, and the most fittable price for each customer. Spread over an area of 960 sq. yard, our modern and well developed infrastructure facilities comprising of latest production machinery and associated equipment allow us to successfully meet our production targets and cater to the diverse product requirements of our clients. The services of experienced industry professionals forming the backbone of our infrastructure facilities, have a strong hold over the involved production processes and help us to meet both the standard and customized product development demands of our clients.